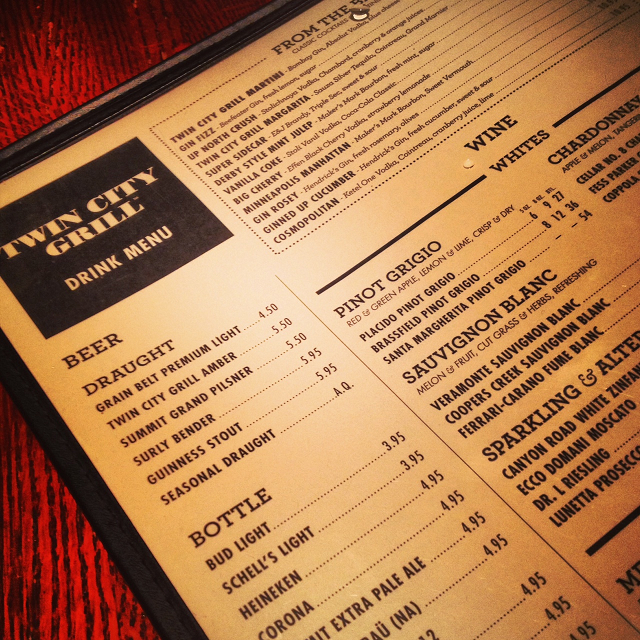 Twin City Grill is my favorite restaurant at the Mall of America. It is cozy, has great food, and is reasonably priced. I think that it is the best place to eat at the Mall of America because the menu accommodates many different eaters. They have salads, burgers, flat breads and walleye. My last experience there deserves special recognition because not only was the food delicious. The service was above par. Whenever I eat at Twin City Grill I get a flat bread and salad. I love the duo. I also am a fan of the salt and vinegar fries. Order some for the whole table. The reason that I say that the service was above par was because of a miscommunication that I had with my server. It was very loud and busy in the restaurant that night and he thought that I had said that I did not want my leftovers. I did actually want them. Seriously, the flat bread is great to eat cold the next day. He apologized and ordered a new one from the kitchen and it was out and in my hand within 3 minutes, just like he said. I was floored that he handled this situation the best way that he possibly could have. Unfortunately, it looked like one of his managers was giving him a hard time for it. Well, people make mistakes and the situation was corrected. It showed that this restaurant cares about their customers. What is your favorite place to eat when you go to the Mall of America? I have never tried that restaurant. Might have to stop in next time I’m at the MOA! You should! It is always busy, so get there a bit before 6:00PM. I always park at Nordstroms as well. It is close to there. I think the prices outside of happy hour are better than Crave. Have you been to Masu at the MOA? That is the other place I have been meaning to try. 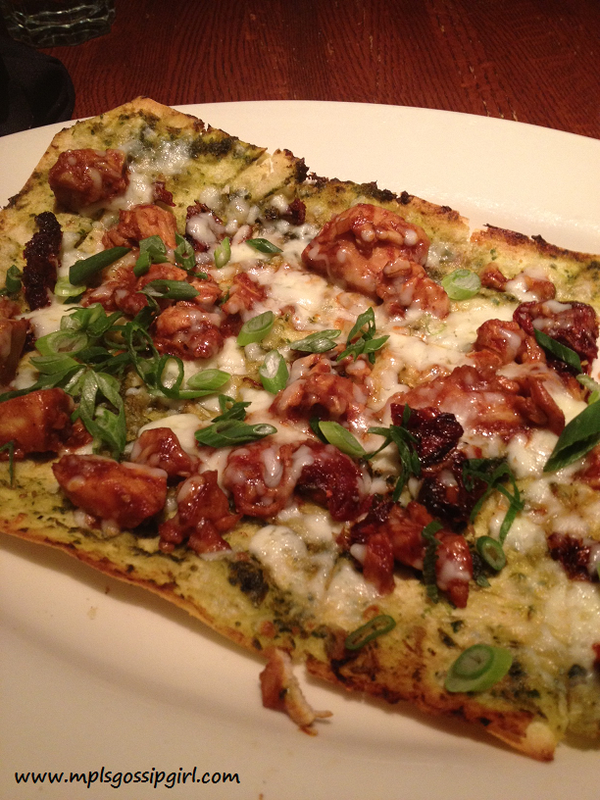 Interesting, it DOES look like a pretty good flatbread. Though when it comes to the mall, I feel I HAVE to interject my own opinion; I think next time you’re there, you should definitely check out, if it’s still there, RBurger bar. On the 4th floor, outside of the House of Comedy, it is by far the best food I’ve had in any Mall, and has garnered my best Burger experience ever (which is saying something; though, nowadays you need to tell them to cook it medium-rare; they medium-well it automatically now). The fries are hand-cut, the sweet potato ones are the best. I haven’t even heard of that place! Good thing you told me about it. 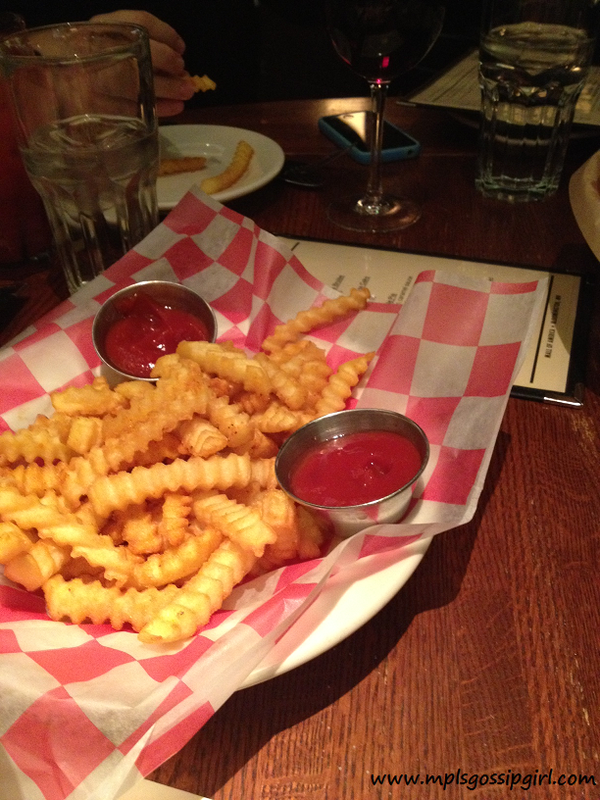 I love sweet potato fries, so I need to get there.